Today’s retail economy is focused on acquisition and retention costs. Getting into people’s homes and turning them into long-term brand buyers is the goal, and appliance makers control an untapped resource — the Internet of Things (IoT) — that can effectively extend a brand or retailer’s supply chain visibility into the home. 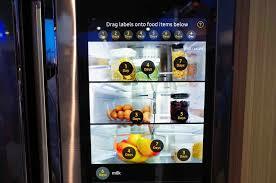 How will the IoT manifest itself in the home? For many consumer brands and retailers, there’s always been one door that holds the key to the $65 billion a month American households spend on food: the refrigerator door.